A creative and engaging Early Childhood experience built on the foundation of Jesus! 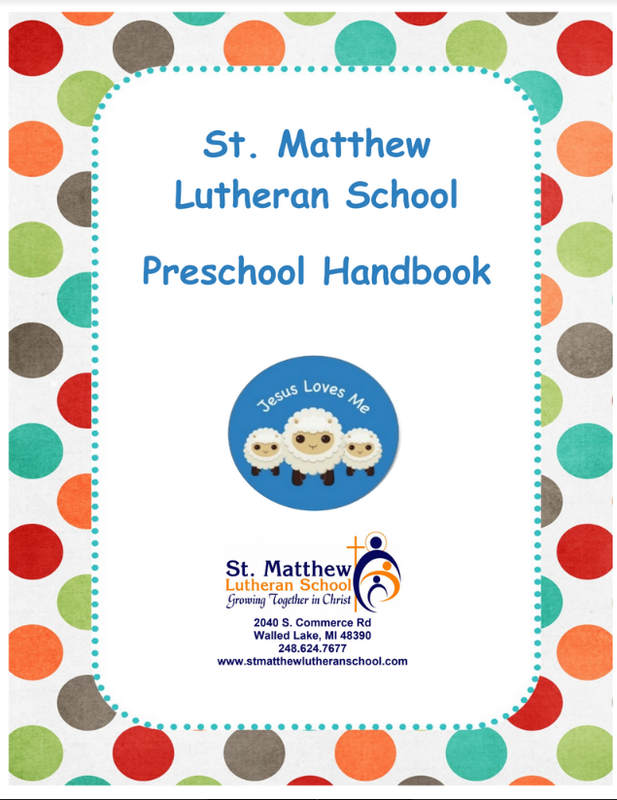 At St. Matthew Lutheran Preschool, we believe that young minds are extremely impressionable and able to learn great things. That is why we place a strong value on our Preschool program, where we can begin to lay the educational building blocks of a child's emotional, cognitive, physical, and spiritual experiences and initiate the path to becoming a life long learner and follower of Jesus. As stated in the book, "Oh, the Places You'll Go!" by Dr. Seuss, our Preschool is literally experiencing the opening text of "Congratulations! Today is your day. You're off to Great Places! You're off and away!" as their formal educational journey has officially begun! When you walk into our Preschool room, you are immediately greeted by bright and vibrant colors that invite our youngest students into an exciting world of learning.